Oh, friends. I’m struggling with these celebration-themed posts! I have neither the time nor the energy this month to develop new suitably celebratory recipes for the ol’ blog, but I’m fast running out of celebrations to share! In thinking about today’s post, I decided to scroll through all my old photos to find something I’d never shared here before. And, find things I did! So today I present a grab bag of fun, funky, and otherwise impressive never before seen vegan desserts. Enjoy! 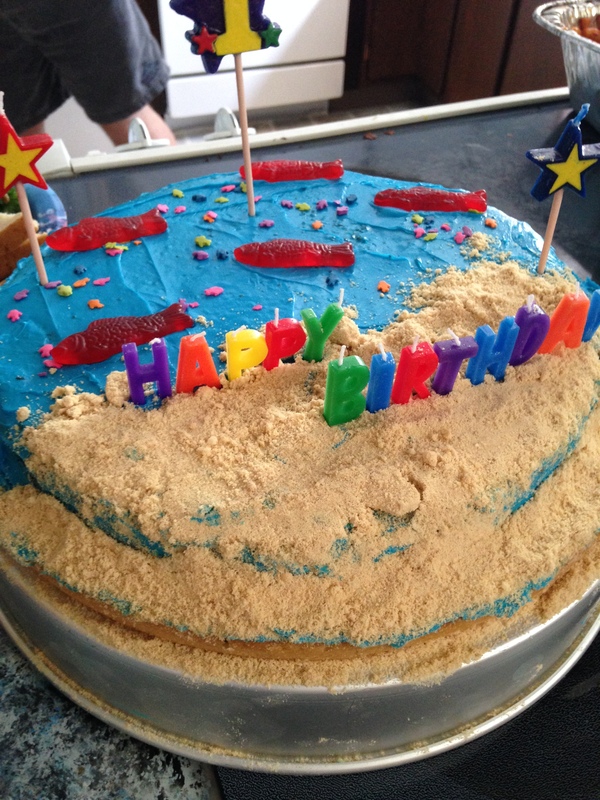 To celebrate my nephew Charlie’s first birthday, my sister made this precious ocean-themed cake. Thank goodness Swedish fish are accidentally vegan! When my dad hit the big 6-0, we threw him a Lego-themed birthday party. (He’s a collector!) 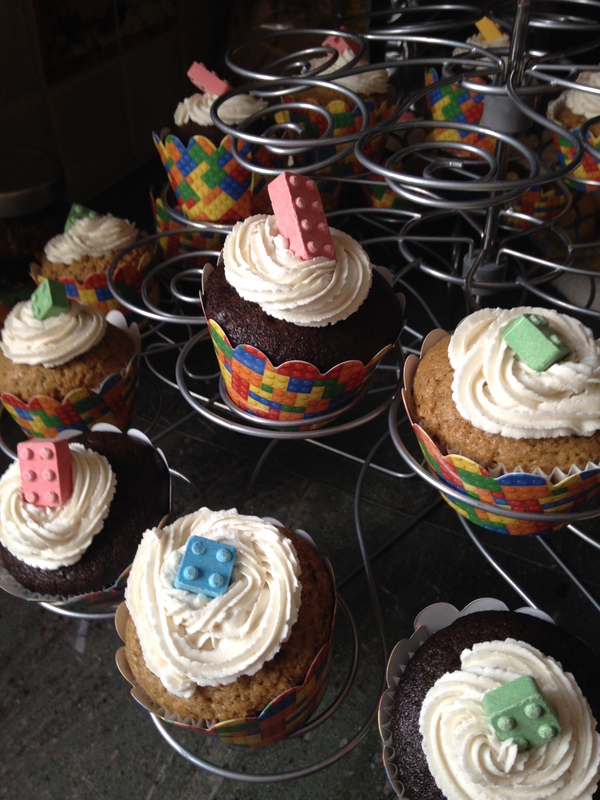 I made cupcakes and decked them out with sugar bricks. I think I bought them on Amazon, and they were surprisingly high quality — you could build with them, were you so inclined! My sweet friend Nancy (of Humane Gardener fame!) brought these absolutely adorable (and thematically appropriate) appetizers and bee-themed cake to an event benefiting a local wildlife rehab group. 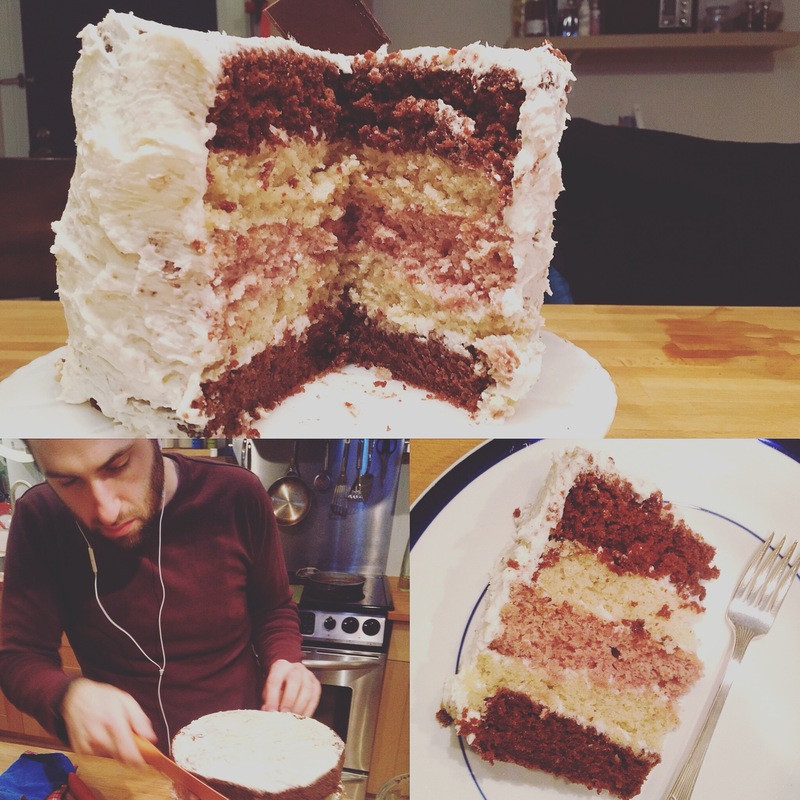 When Steven and I celebrated our five-year anniversary a while back, we co-made a five-layer cake to honor it. It was Neopolitan flavored, with layers of vanilla, chocolate, and strawberry coated in a vanilla frosting. It was unwieldy and massive and very difficult to decorate (#amateurs) and ultimately not that impressive, but it tasted great. One of my coworkers makes the most jaw-droppingly beautiful vegan baked goods, which she sells at our biannual employee craft fair and occasionally brings in for other celebrations. These are pretty much professional-level in terms of decoration and taste, and people go wild for them when they’re in the office! 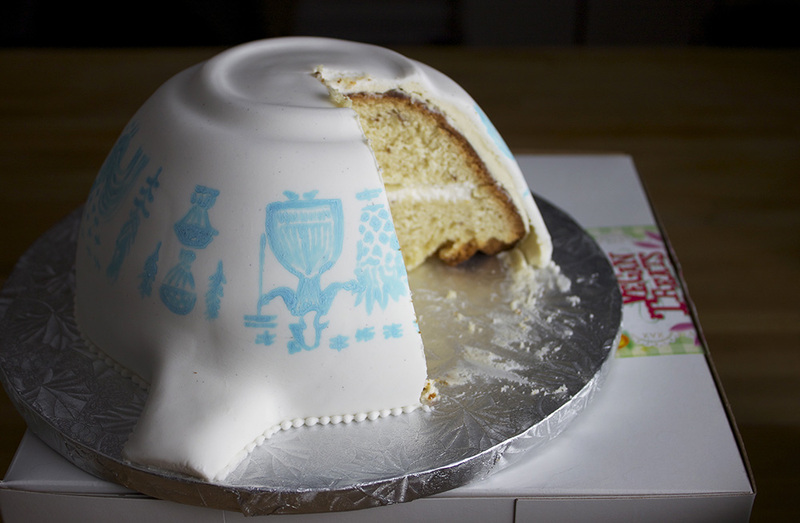 And finally, you’ve seen this one before, but it’s too impressive not to share: the Pyrex-themed birthday cake Steven had Vegan Treats make for my birthday a few years back! Which cake is your favorite? !